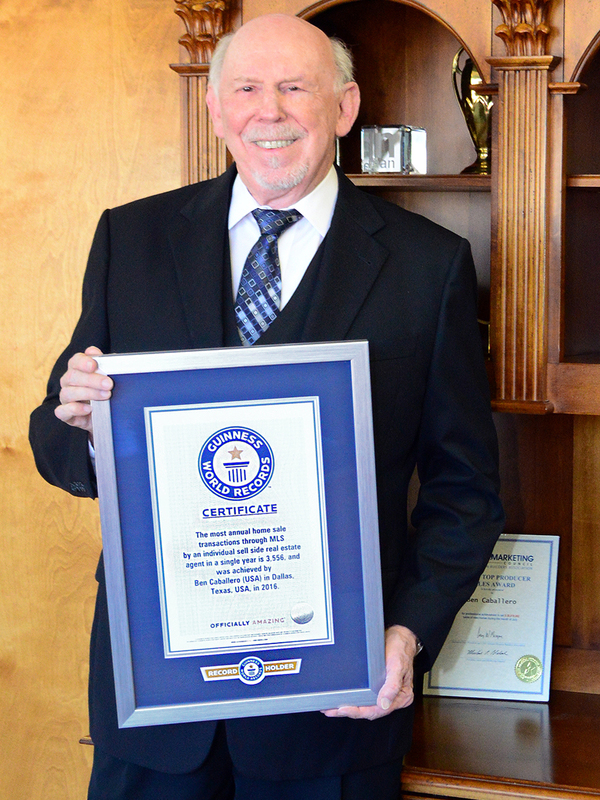 DALLAS, February 12, 2019	(Newswire.com) - Ben Caballero, the first Guinness World Record holder for home sales, broke his world record for an individual real estate agent, selling 5,793 homes totaling $2,270,911,643 in a single year. That’s according to data from local MLSs of the Houston Association of REALTORS®, North Texas Real Estate Information Systems, San Antonio Board of REALTORS® and the Austin Board of REALTORS®. Ranked as the No. 1 real estate agent for nearly a decade by REAL Trends for both total sales and number of transactions, Caballero also listed an additional 668 homes for brokerages owned by home builders for an additional sales volume of $228,992,475. His combined real estate sales for the year totaled $2.499 billion with 6,461 homes sold, all in the state of Texas. “Texas is the world’s greatest housing market and one of the best economies in the world,” said Caballero. “It’s said everything is bigger in Texas. Well, this number is so big even I’m little surprised by it -- and delighted. But this may well be a record that lasts a year or two,” he said, noting that 2019’s homes sales in Texas are showing signs of leveling off. Caballero is the broker-owner of HomesUSA.com® based in Addison, Texas. With his HomesUSA.com platform, he manages MLS listings for more than 60 builders in Dallas-Fort Worth, Houston, Austin and San Antonio. Caballero is the number one ranked real estate agent on REAL Trends’ definitive “The Thousand” list, as published in The Wall Street Journal for both number of home sales and total annual dollar volume. Significantly, Caballero, in addition to his individual record, is the only individual real estate agent ever to surpass the total production of highest-ranked real estate teams on “The Thousand” list, as measured by total sales transactions (sides) and total transaction volume, as verified by REAL Trends. In 2017, Caballero sold more than twice as many homes in both dollar volume and number of homes than those teams that appear on the most recent list. The REAL Trends list for 2018 sales production is expected to be published this June. Unlike most top-producing agents who sell multi-million dollar mansions to celebrities in Beverly Hills and Malibu or to Wall Street titans in Manhattan, Caballero home sales are to everyday people in Texas. His business serves builders selling homes in communities throughout Austin, Houston and San Antonio, as well as his hometown market of Dallas-Fort Worth. For the second year in a row, he has been the only individual agent ever to sell more than $1 billion in home sales within a single market. Last year, Caballero sold 3,496 homes in the Dallas-Fort Worth market, up from 3,035 homes he sold in 2017. His total sales volume for Dallas-Fort Worth in 2018 was $1,384,874,852, up from $1,200,477,303 in 2017. The average home price in Dallas-Fort Worth Caballero sold was $392,009. In Houston, he sold more than 1,000 homes (1,022) in 2018, with sales totaling $401,942,780. Caballero also sold 923 homes in Austin last year, with sales totaling $362,063,283. In San Antonio, he sold 288 homes, with sales totaling $96,464,314. Ben Caballero is a Guinness World Record holder1, earning him the reputation as the world’s most productive real estate agent. Top-ranked in America by REAL Trends since 2013, as published in The Wall Street Journal, he is also the only agent to exceed $1 billion in residential sales transactions in a single year; a feat first achieved in 2015 and repeated each year since. 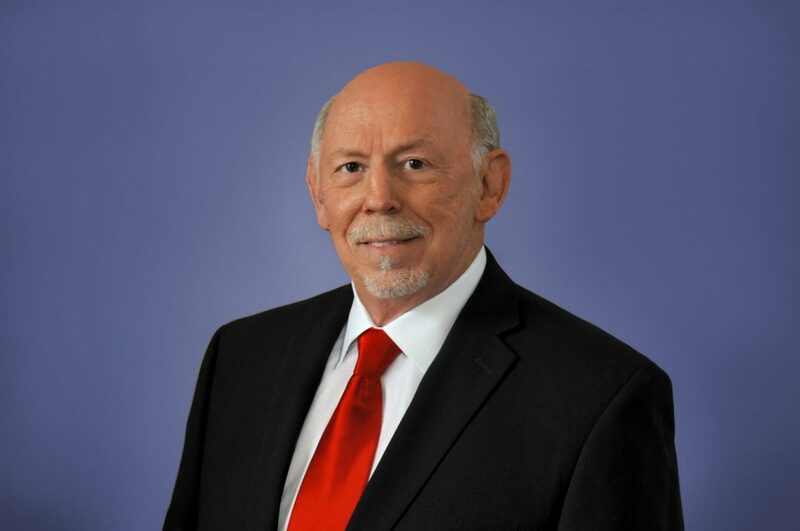 An award-winning innovator, Caballero is the founder and CEO of HomesUSA.com Inc., working with more than 60 home builders in Dallas-Fort Worth, Houston, Austin and San Antonio. He recently released a podcast series available on iTunes and Google Play. Learn more at HomesUSA.com |Twitter: @bcaballero and @HomesUSA | Facebook: /HomesUSAdotcom. Note for journalists: Contact Ben Caballero directly on his cell at (214) 616-9222 or by email at ben@homesusa.com. HomesUSA.com saves home builders time and money and is owned by Ben Caballero, the #1 ranked real estate agent in America by REAL Trends.